Don Facundo Bacardi Masso purchased a small distillery in Cuba nearly 150 years ago and his legacy lives on through the Bacardi rum that is bottled in Jacksonville. The Bacardi Bottling plant in North Jacksonville produces 45,000 cases of rum daily and supplies 100 percent of the Bacardi rum that is consumed in the United States. From the small beginning in the distillery in Santiago de Cuba, the company has grown into Bacardi Limited whose brands now include Bacardi rum, Grey Goose vodka, Dewar’s blended Scotch whisky, Bombay Sapphire gin, Eristoff vodka, Cazadores tequila and Martini vermouth. The achievements of the company and its 150th anniversary will be celebrated throughout 2012. “We are planning to announce the 150th yearlong celebration on Jan. 11,” said Amy Federman, a spokeswoman for Bacardi Limited. The plant has recently received some upgrades to its bottling line to make it a more automated facility and it is the headquarters for global product research and development for Bacardi. 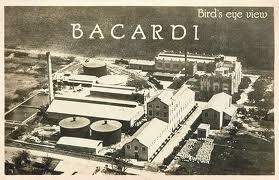 The 92-acre property along North Main Street is home to the Bacardi Bottling Corp., which is a part of Bacardi Limited. It is the company’s largest bottling facility in the Americas region. The company’s U.S. headquarters is in Coral Gables and its world headquarters is in Hamilton, Bermuda. It is one of the 27 production facilities, including bottling, distilling, and manufacturing facilities, in 16 countries including the U.S., Puerto Rico, Scotland, Italy, France, Spain, Germany and Mexico. The Jacksonville plant also contributes to the 6,000 people Bacardi employs around the world.